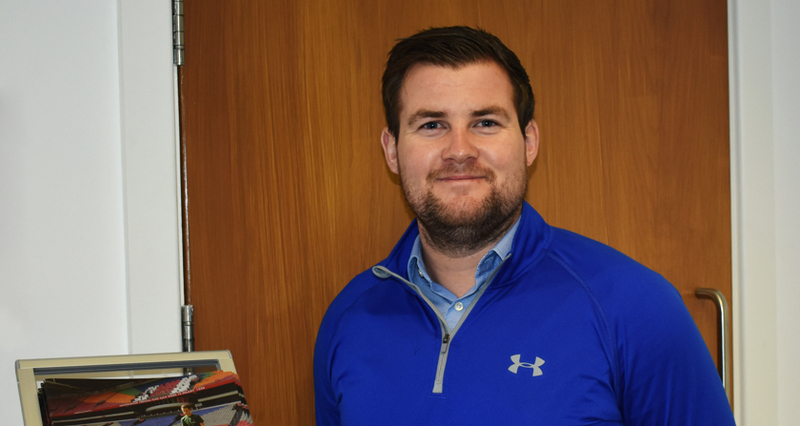 Makita UK has added new, high visibility, Heated Jackets to the LXT and CXT ranges to help keep construction workers comfortable on site, for longer. Construction sites can be cold and bleak in wintertime and these jackets and vests will provide a new level of comfort and protection. Powered by Makita’s Lithium-Ion batteries, which many site tradesmen will already own with their Makita power tools, the DCJ206Z LXT Jacket, compatible with 14.4V and 18V LXT batteries only, will run in Hi, Medium and Lo heat settings providing up to 35 continuous hours of comfort when powered by a Makita 18V 6.0Ah Lithium-Ion battery. The jacket features five heat zones, two on the chest and three in the back, which are controlled by an on/off selector with LED indicator conveniently positioned on the chest. An external transparent chest pocket perfectly protects essential ID cards from the elements. Complete with battery adaptor, the heated jackets are made of robust and durable fluorescent yellow polyester with reflective silver lines, are washable when detached from the battery, have a removable zipper hood and are cosily fleece lined. The 2-way front zipper opens from top and bottom. 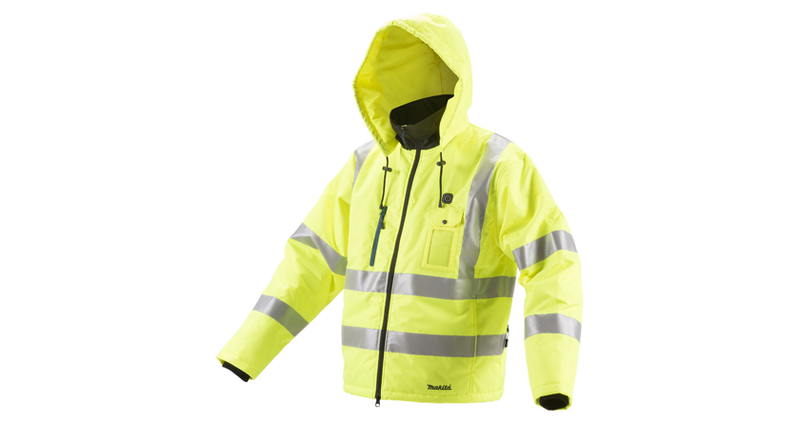 The DCJ206Z hi-vis jacket, weighing a comfortable 1.2kg, is designed to meet ISO20471, and many other recognised standards, for use on roads and construction sites. The CJ106DZ Heated CXT Jacket is compatible with 10.8V and 12Vmax CXT batteries only and offers the same high quality and outstanding design features as the LXT models, weighing a comfortable 1.1kg, and provides a run time of up to 14 hours when powered by a 4.0Ah Makita CXT battery. These body only items are available in M/L/XL/2XL and 3XL sizes and come with their own CXT version of the adaptor.